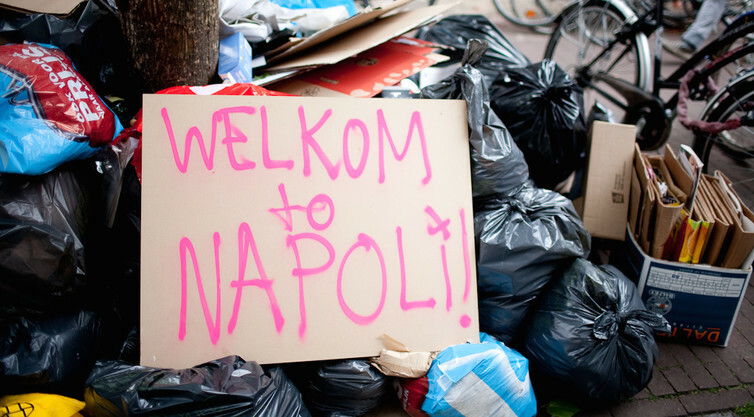 Why are some European cities better than others at dealing with garbage? Writing for The Conversation, Ian Williams, Professor of Engineering and the Environment, asks why are some European cities better than others at dealing with garbage? The end of Beirut’s eight-month garbage crisis may be in sight, now that trucks have begun removing the piles of rubbish accumulating in the streets to temporary landfill sites. The problems began when the city’s main landfill site was closed last July, after local residents protested that it was at capacity. No alternative sites were provided for waste disposal, so garbage began to pile up on the city’s peripheries, and eventually in the city itself. When crises like this occur in other countries, Europeans tend to congratulate themselves on their efficient waste management systems. But the recent strike by garbage collectors in the Spanish city of Málaga – which resulted in enormous rubbish heaps choking the streets – shows how not all EU members manage their waste well. It’s not a new situation in Europe either: the Campania region in southern Italy has suffered serious problems with municipal waste management since the mid-1990s. The area between Naples and Caserta has even been nicknamed the “land of fires”, as a consequence of the frequent blazes burning up huge mounds of illegal and hazardous wastes. At one point in 2007, the US Embassy in Rome warned Americans against travelling to Naples and its surrounds, citing health risks. The city’s tourist trade still suffers from its reputation for dirty streets. So why do some European countries manage their waste well, while others lurch from catastrophe to catastrophe? After all, the EU has issued directives for all its member states regarding waste disposal, so you’d expect some consistency. For one thing, the amount of municipal waste generated differs substantially between EU countries, ranging from 747kg per capita in Denmark, to 272kg per capita in Romania in 2013. These variations reflect differences in economic wealth and consumption patterns, but also depend on how municipal waste is collected and managed. Landfill has generally been the main method of municipal waste treatment and disposal in the EU. But a defining moment occurred in 1975, when EU laws introduced the so-called “waste hierarchy”. 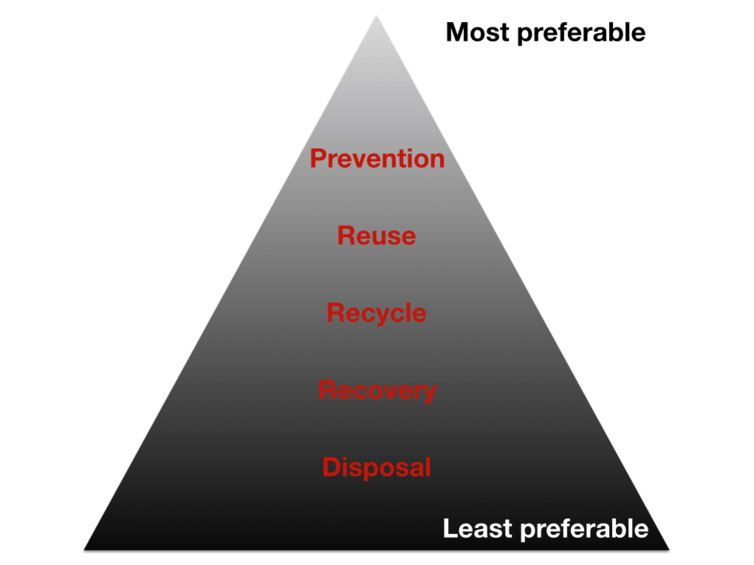 The waste hierarchy indicates an order of preference for different measures to reduce and manage waste. The hierarchy prioritises waste prevention: this could include using environmentally-friendly product designs, implementing local waste prevention plans and financial disincentives such as landfill tax. When waste is created, the hierarchy then gives priority to direct re-use, then to recycling and recovery methods – such as energy recovery from waste to produce heat or electricity – and last of all, to disposal. It was optional for member states to adopt the waste hierarchy; but there was an expectation that it would be included within national waste management laws. It was hoped that the hierarchy would protect the environment, conserve resources and minimise the amount of waste generated. For a couple of decades, very few countries took any notice of the hierarchy. High levels of landfilling continued across the EU throughout the 1990s. It wasn’t until 1999 that addressing the issue became a political priority, which led to the EU’s landmark landfill directive. Specific targets were not set for the overall reduction of disposal via landfill, but for the amount of plant and food waste sent to landfill. Further directives emphasised the need for member states to adopt the waste hierarchy. The most significant was the EU Waste Framework Directive, introduced in 2008, which set an objective that 50% of all municipal solid waste was to be recycled or composted by 2020. 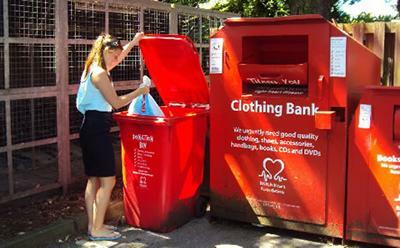 But even these blanket targets offer no guarantee of successful waste management across Europe. For one thing, many countries break European laws without any obvious consequences; for example Bulgaria, the Czech Republic, Poland, Romania, Slovakia and Slovenia missed the 2010 and 2013 targets for diverting biodegradable municipal waste from landfill. What’s more, every country takes a different approach: a huge range of combinations of recycling, composting, incineration and landfilling are used across the EU. Northern and central European countries have made most progress in terms of moving away from landfill: Belgium, Denmark, Germany, Austria, Sweden and the Netherlands landfill less than 3% of their municipal waste. Meanwhile, countries in the east and south have made little or no progress. The reasons for this disparity are complicated, but factors include the availability of finance, political and social will, technical skills, suitable planning and legal frameworks, and a wide range of other social, demographic, cultural and administrative factors. The notion that decisions should be taken as closely as possible to EU citizens also means that member states are obliged to come up with waste management strategies to suit their people, rather than take a uniform approach. Meanwhile, Eastern European countries which that have only recently joined the EU — such as Lithuania, Slovakia and Latvia – have not been required to use the waste hierarchy as a guiding principle. It isn’t straightforward to implement the waste hierarchy within a country: new laws must be brought in, systems for data collection and monitoring set up, and separate collection and sorting systems for different kinds of waste established. There are some good examples of what works though. Countries with strong political leadership and cross-party agreement on environmental issues – such as Germany, Denmark, Norway and Switzerland – tend to manage waste well. What’s more, countries which view waste as a resource have found novel and productive uses for it. Belgium recycles precious metals such as gold and platinum from electronics; Germany harvests biogas from the breakdown of organic materials; Wales has focused on getting people to sort waste correctly for more effective recycling and to lower greenhouse gas emissions. And the clever use of automated technology, such as underground vacuum-powered waste disposal systems, have helped keep streets clear in cities such as Barcelona, London and Copenhagen. The protection of our environment is becoming an increasingly important global priority, and the political, commercial and health benefits of effective waste management are clear. With time, these facts should give countries the incentives they need to manage their waste effectively. Future waste management will become more about lifestyle choices and less about managing the wastes we generate.